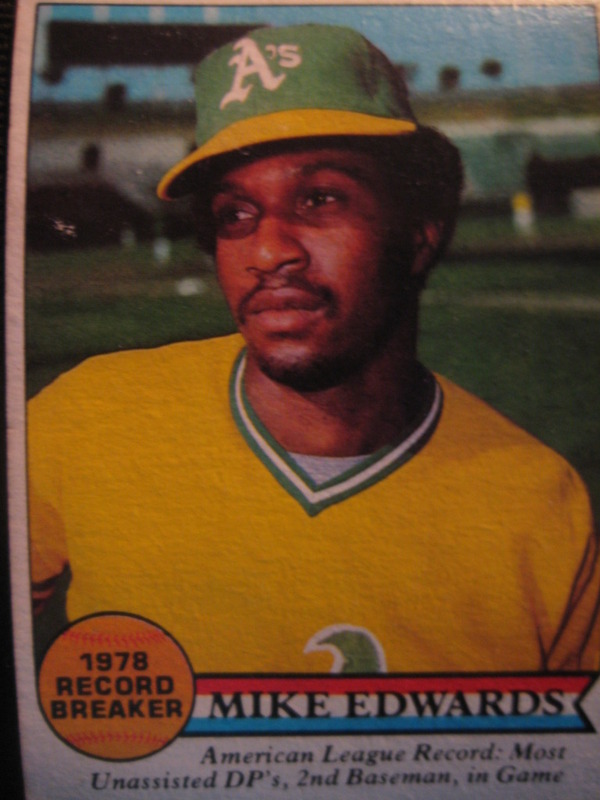 There must not have been a lot of records set in 1978 if Topps chose to include this one. 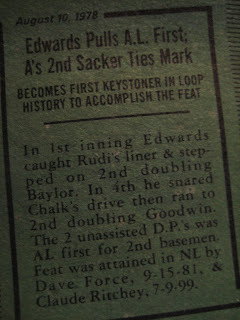 Mike Edwards - Most Unassisted DPs, Second Baseman, in a game. So how many did he turn in that one game? Call me jaded, but just because something hasn't been done before doesn't mean it's automatically interesting. 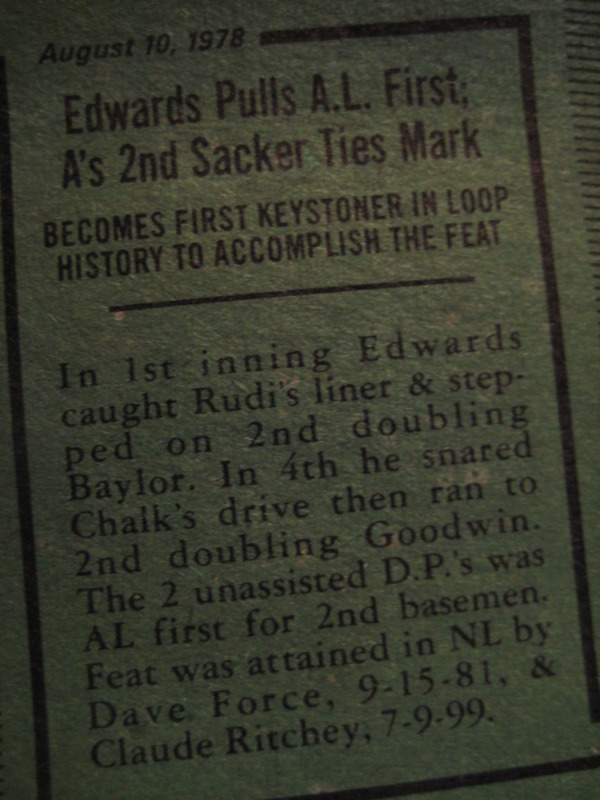 What's worse, the A's lost the game 16-5, and Edwards actually came out of the game in the fifth inning - who know how many more unassisted DPs he could have turned? After all, the Angels had 31 baserunners in the game - lots to double up. Man that was a horrid offensive team! Remember when Frank Robinson replaced Matt LeCroy at catcher? Remember when Billy Martin pulled Reggie? Well, in that game Jack McKeon yanked Willie Horton out of LF after he muffed a single allowing the 14th run to score. That was his second error of the game, his only game in the OF all year, and five days later he was traded to Toronto for Rico Carty. Haha, such a terrible record indeed. I love the 2nd NL guy who set the record back in 99 though. For a second I thought this was one of those recent Topps cards that recreates an older card. Then I realized it meant 1899. Crazy stuff. I actually like little tidbits like that, I wish Topps was still doing things like this. Instead of the five Hornus Wagner cards with the same photo or ten Reggie Jackson cards twenty years after he retired.